Knife Tongue is a didactic panel illustrating the manufacturing steps in knife production, with the finished chef knives etched with my first words as a baby: Mama in the “belly” of the knife, Papa in the logo position. The making of a tool is likened to the honing of a baby’s native tongue. 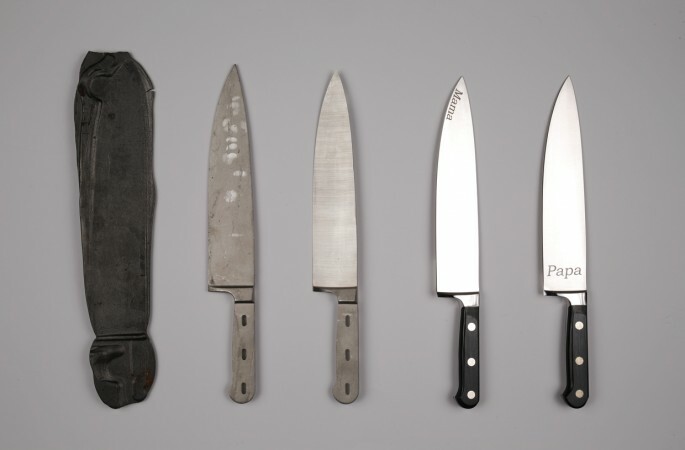 Knife Tongue is part of a long running series of artworks about knives and words.